Did you ever thought of tasting the pure joy of taking a cruise ship for the summer? Maybe as a reward for a professional accomplishment or just to enjoy a nice family vacation. If by chance you decide to go with the Port of Tilbury, then you should also select a decent airport transfer. 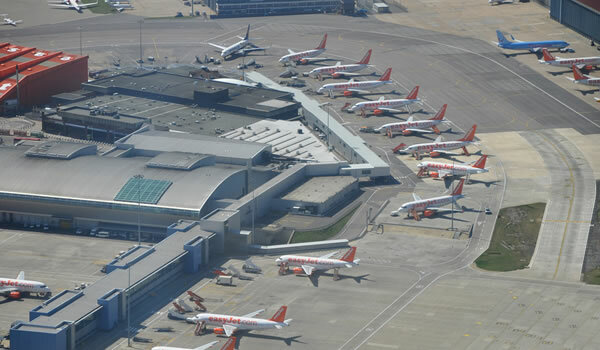 Although Luton Airport does not have as many passengers as Heathrow or Gatwick Airport, it offers great prices and good customer service. Nonetheless, the airline companies provide flights from all over the world, so easy access will not be a problem. Another important benefit that Luton Airport has to offer is its perfect location, surrounded by plenty of bus and rail stations. This is especially good for people that travel on a low budget. If you plan to also do some sightseeing before embarking on your cruise ship, make sure to book in advance a night or two for one of the following highly rated hotels: Holiday Inn Hemel Hempstead M1, JCT.8, Hampton by Hilton London Luton Airport or ibis London Luton Airport. If you forgot to bring some important clothing or other items for your cruise ship, now is the moment to do some last minute shopping. For a sweet desert or a sweet present for your loved ones, try Godiva, one of the best and tasteful chocolate stores in the United Kingdom. For some brand clothes or shoes, you can check out London Designer Outlet, especially if you have friends that crave to wear the trendiest fashion. For children that deserve a little reward for being so quiet and nice on the flight to the airport and on the transfer to the Port of Tilbury, you can enter Never Never Land. They might need some extra toys for the cruise ship as well, in case they get bored. In order to get a Luton to Tilbury Port Transfer by rail, you have two main options. The first one would be a bus from Luton Airport Bus Station (every 10 minutes) and then the train, using the following route: Luton, King’s Cross St. Pancras and West Ham High Level. The total duration of this journey would take about 1 hour and 46 minutes. The second option is to take a bus from Luton Airport Bus Station (that arrives every 20 minutes) via Baker Street Underground and London St. Pancras rail stations. This journey would take about 1 hour and 58 minutes. A Luton to Tilbury Port Transfer by car can be done by taking the M25 highway. London Luton Airport is at a 59.4 miles distance from the Port of Tilbury. A Transfer from Luton to Tilbury Port with 247 Luton Airport Transfer is going to take about 1 hour and 45 minutes, including traffic. The price for a Luton to Tilbury Port Transfer starts from 85 GBP. – Best value for money Luton to Tilbury Port Shuttle.